Washington (AFP) - Facial recognition technology was credited with the arrest this week of a man attempting to use a fake passport to enter the United States at Washington's Dulles airport, officials said. Officials said that on the third day of deployment of the new technology, border agents were able to determine that the man was using a fake French passport. 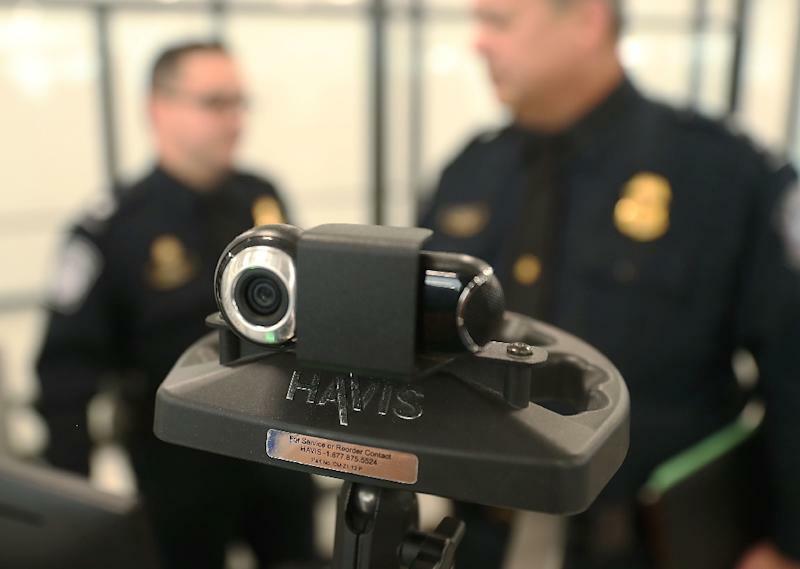 US Customs and Border Protection, part of the Department of Homeland Security, said Dulles is one of 14 "early adopter airports" using facial recognition technology for the entry process, and began deploying it Monday. On Wednesday, a 26-year-old man traveling from Sao Paulo, Brazil sought to enter with a French passport but the facial comparison biometric system determined he was not a match to the passport he presented. A search revealed the man's authentic Republic of Congo identification card concealed in his shoe. His name was not released. The use of facial recognition has been growing for law enforcement, border control and other uses, even as concerns have risen on privacy. Privacy activists say there are few safeguards on the databases used and that the technology evokes fears of a "Big Brother" surveillance state. The technology is being adopted around the world, with China a heavy user of facial recognition for law enforcement. The airport border agents use the biometric system to determine if the person is using a real passport, claiming it speeds the entry and exit process. The agency is also assessing the use of biometric technology as part of a process from check-in to departure in which travelers use biometrics instead of their boarding pass. The agency said in a release it is "committed to its privacy obligations" and has published several privacy impact assessments. Facial recognition came into play earlier this year when a suspect arrested for a shooting at a newsroom in Annapolis, Maryland, refused to cooperate with police and could not immediately be identified using fingerprints.